If you are a skier this post you want to ’. 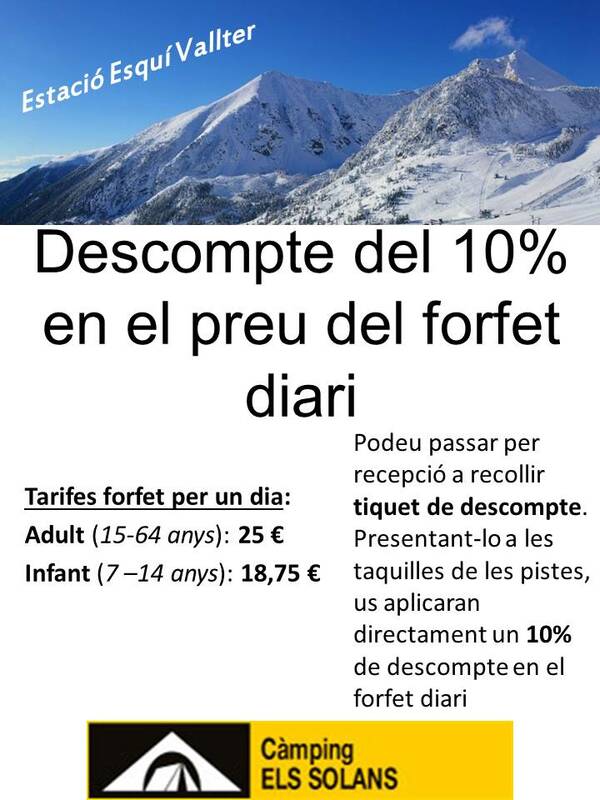 All guests of the Camping Camprodon can enjoy a reduction 10% the price of the ski pass for adults and children pass in the ski resort Vallter 2000. 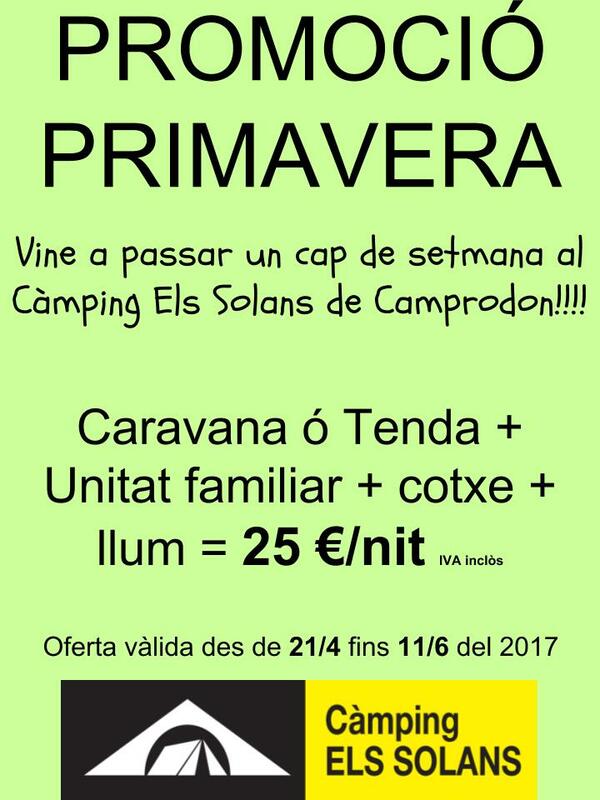 If you present a voucher discount you need to pick up at the reception of the campsite you can enjoy this advantage ’, If you go with a group you get a lot to account. 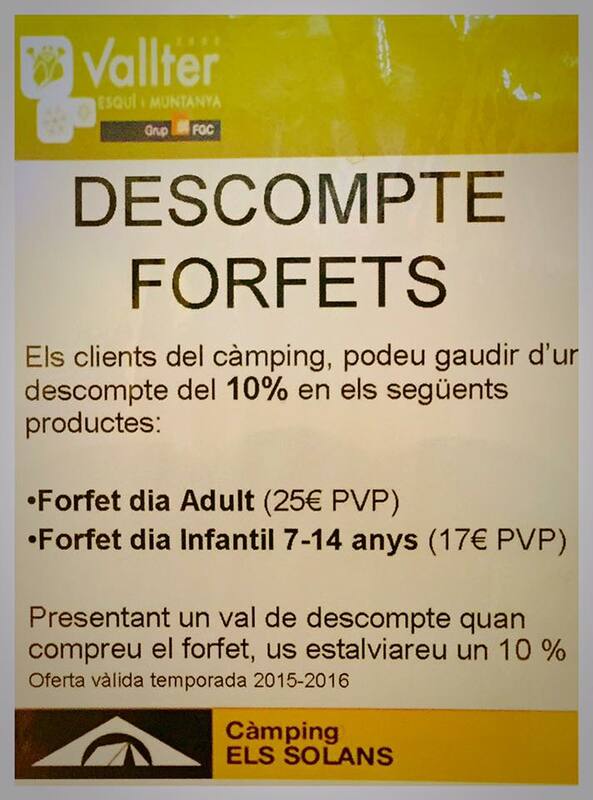 If you need more information, just ask at the reception of the campsite and we ’ we inform you without obligation. This year, we have a very good snow! Are you bored with the monotony weekend? You looking forward to summer, change of scenery? Fancy a romantic getaway? You want to go out with the kids? Do you feel like getting lost in the mountains and discover new landscapes? Whatever your choice, we present the irresistible promotion that we thought for you, this spring. We propose to come camping with tent or caravan, at a very sweet. for only 25 euros, you have at your disposal to spend a few days to savor delicious and all the charm of mountain scenery. Any questions, and we want to see? T'ajudem! Do not think that the promotion is limited, recalls that ends June 11. If you are a skier this post you want to ’. 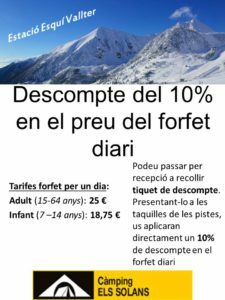 All customers of the campsite can enjoy a reduction of 10% in the price of the ski pass of ’ Adult and in the children's ski pass at the station Vallter ski ’ ’. 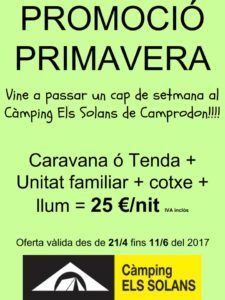 If you present a voucher discount you need to pick up at the reception of the campsite you can enjoy this advantage ’, If you go with a group you get a lot to account. 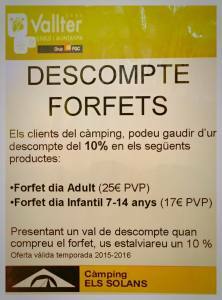 If you need more information, just ask at the reception of the campsite and we ’ we inform you without obligation.